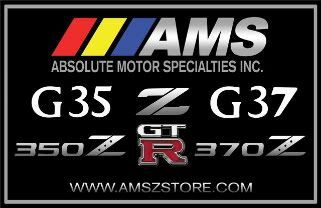 AMS MAX-SLOT (16) R32 2-PC Front ROTORS INTRO SALE- $399! 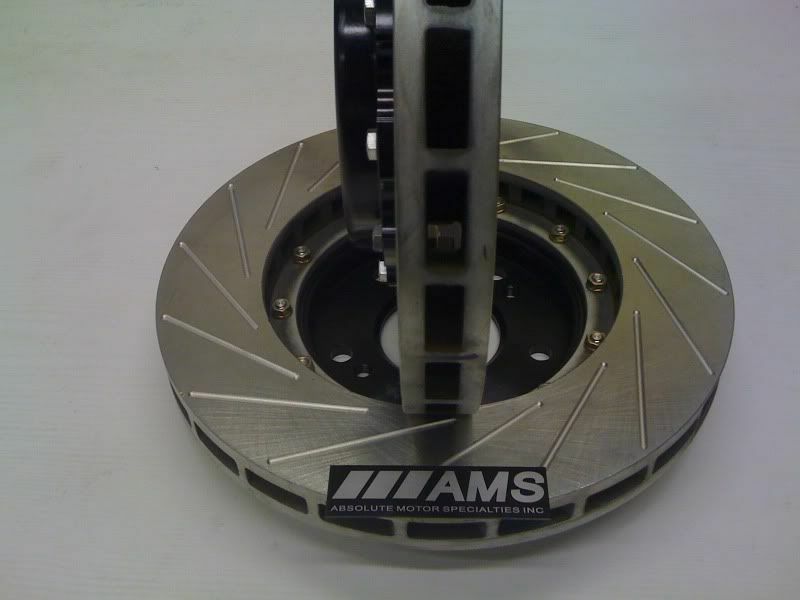 At long last our much awaited AMS 2-PC direct fit (296mm) front rotors are in stock! Intro pricing $399 is in effect until quantities last! Several are spoken for already! 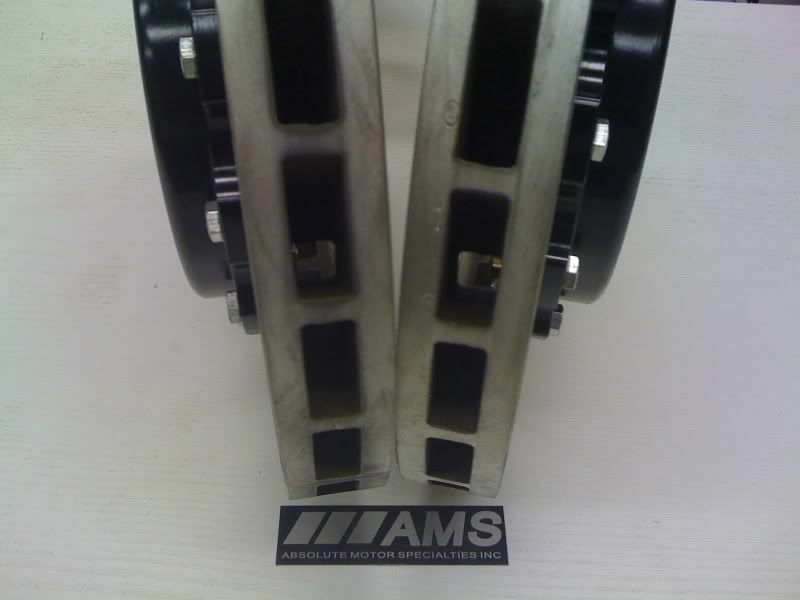 These are a direct fit for the R32 GTR fronts. Features an aluminum hat and 16 slots. Replacement rings will be sold seperately for serviceability! 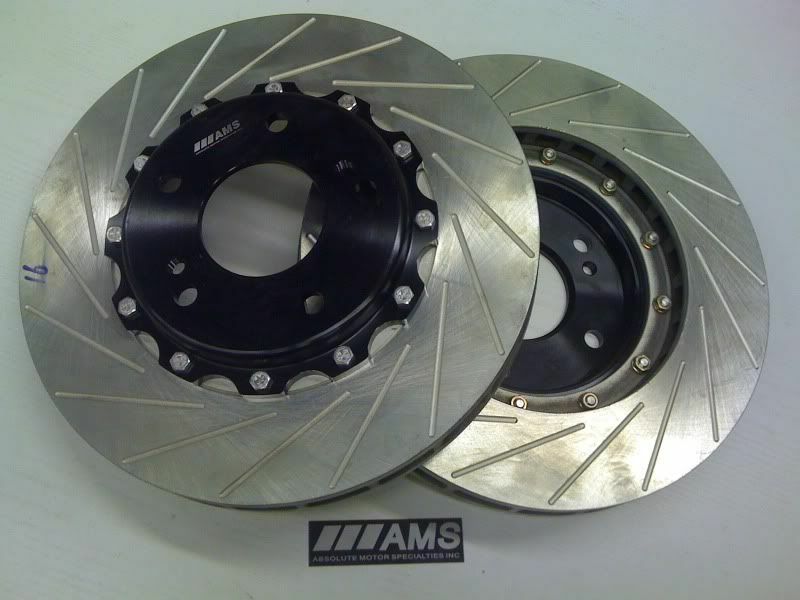 • AMS 2-piece rotors shave approx 1 lbs each vs standard sized GTR 1-piece rotors - each pound of unsprung weight is comparable to shaving 4 lbs off the chassis! • 2-piece R32 GTR rotors feature 'Curved Vanes' for max cooling efficiency! Heat is the number one killer of rotors! Contact us via PM, e-mail or phone!